ELIZABETHTOWN, PA – Friday, September 18, 2015 – Elizabethtown College reaffirms its commitment to sustainability by securing a state grant to build what will be Pennsylvania’s largest higher education-sited solar array. In partnership with Radnor, Pennsylvania-based Community Energy, a nationally recognized renewable energy developer, the 2.6-megawatt DC ground-mounted solar photovoltaic system will create an educational living-learning laboratory right on campus. E-town plans to break ground with a ceremony scheduled for 10 a.m. Thursday, Oct. 1. Led by College President Carl Strikwerda, the event will be attended by students and community members to highlight the team effort it has taken to move the project forward. Elizabethtown College competed for and was awarded a $500,000 grant from the Pennsylvania Energy Development Authority (PEDA) to build the project and enhance the sustainability efforts on campus. The solar installation has the ability to supply more than 20 percent of Elizabethtown College’s annual electricity needs and provide environmental and economic benefits to the community. Situated on 10 acres, owned by the College in Mount Joy Township, the project is owned and operated by solar power developer Community Energy and is expected to produce more than 3,000,000 kWh per year—enough to power the equivalent of nearly 300 homes. 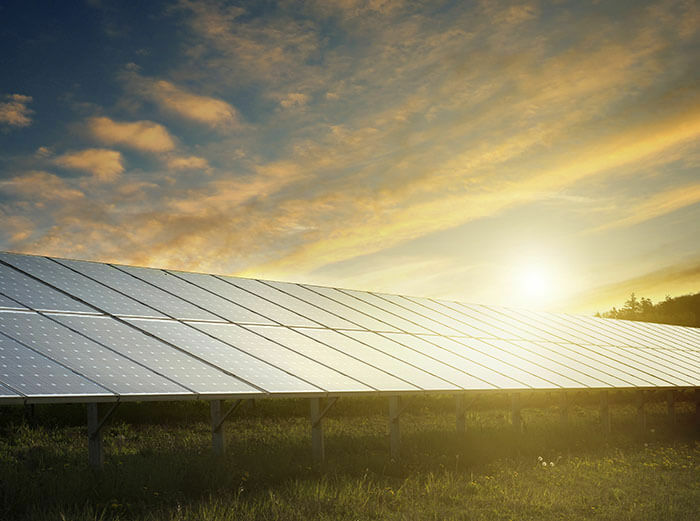 National installer, Namasté Solar, will construct the project in collaboration with New Holland, Pennsylvania-based Advanced Solar Industries. The array is scheduled to begin operation this winter.